This entry was posted in Featured Property of the Week, The Oaks at Boca Raton on April 28, 2010 by Luxury Resort Portfolio. St. Andrews Country Club of Boca Raton was established in 1982, developers were keen on creating an outstanding residential and golfing community in South Florida. In 2009 St. Andrews Country club was ranked 15th by the Platinum Clubs of America and is internationally acknowledged for its magnificent estate residences. Spanning over 718 acres of exceptionally groomed fairways and 70 acres of sparkling lakes and verdant vistas, St. Andrews Country Club is undoubtedly one of the shining stars of Boca Raton luxury real estate. Recognized as one of the most luxurious country club communities in South Florida, St. Andrews Country Club is situated along “Country Club Row” and “Millionaires Mile” where more than 700 graceful estates were designed and built celebrating the uniqueness of each privileged resident. Fashioned to provide each magnificent residence with an “estate” feel, St. Andrews Country Club real estate was designed to provide its homeowners with an expansive, capacious feeling by limiting the number of homes built. Over two-thirds of St. Andrews Country Club is permanently reserved for recreational use and open space. St. Andrews has played host to numerous PGA golf exhibitions led by touring pros such as Phil Mickelson, Arnold Palmer, John Daly and Rocco Mediate, and is the home course to LPGA Touring Professional, Morgan Pressel. St. Andrews Country Club also provided tennis enthusiasts with the finest facilities spotlighting 15 lighted Har-Tru® tennis courts that features a center court with grand stand seating. Other comforts include a new state-of-the-art fitness center and spa facilities. The center of St. Andrews’ recreational and social worlds is its 125,000 square foot contemporary styled Clubhouse. Entering the clubhouse is a truly thrilling experience for guests as every determined effort was thought of in providing its members with an unsurpassed commitment to luxury, sophistication and first-class service. By providing 24-hour armed foot patrols that are accompanied by guard dogs, or it’s state-of-the-art infrared perimeter system that notifies St. Andrews’ security force of any possible intruder onto its grounds, and its own on-site Medical Response team, St. Andrews Country Club provides its residents with peace of mind and amenities that befit a community of this caliber. Boca Raton Country Club Homes located in St. Andrews Country Club provide South Florida residents with a veritable cornucopia of shopping, dining, entertainment and recreational options. Palm Beach’s luxury brand boutiques of Worth Avenue, Ft. Lauderdale’s Las Olas yachting paradise and Miami’s world class nightlife and entertainment along South Beach are close at hand. Nearby cultural attractions include: the Morikami Museum and Japanese Gardens, the Boca Raton Museum of Art, Palm Beach’s Henry M. Flagler Museum and Norton Museum of Art, and the Kravis and Broward Center’s for the Performing Arts. If you find the sporting life to be more appealing, St. Andrews Country Club’s convenient South Florida locale to the International Polo Club of Palm Beach, Royal Palm Polo Sports Club in Boca Raton, and the Delray Beach Tennis Center play host to numerous championship and celebrity tournaments throughout the year, while the Dolphins, Marlins, Heat and Panthers home stadiums are all within an hours drive. If you’re planning to invest in Boca Raton real estate, you’ll require the superior services of a knowledgeable and seasoned Boca Raton Luxury Real Estate Specialists familiar and experienced with the Boca Raton and Delray Beach real estate market. 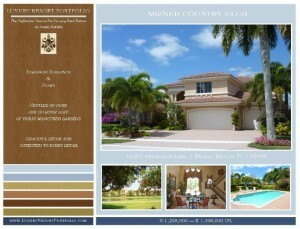 Contact The Smiths at 561.445.2282 or TheSmiths@LuxuryResortPortfolio.com. This entry was posted in Featured Community, St. Andrews Country Club on April 26, 2010 by Luxury Resort Portfolio. Situated along Boca Raton’s “Millionaire Mile”, is the embodiment of South Florida real estate luxury and privacy. The sprawling residences of Long Lake Estates are reminiscent of the grandeur and charm of Palm Beach’s grace and sophistication, abound by the beauty and elegance of Old World hand craftsmanship and attention to detail, nestled in a quiet tropical lakeside oasis. South Florida’s most spectacular custom built estate homes. 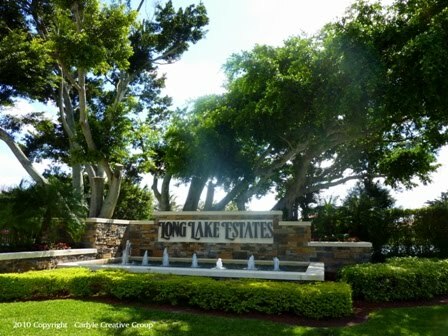 Long Lake Estates homes for sale range in size from over 3,000 square feet to more than 10,000 square feet, with homes priced from the $1 millions to in excess of $5 million, and are sited on expansive lots of one acre or more in a lushly landscaped park-like setting. The prestigious, guard gated, grand scaled enclave of Long Lake Estates features estate homes in a verdant and tropical waterfront setting. Long Lake Estates real estate is some of the most exclusive in Boca Raton and is comprised of approximately 120 one acre home sites, many of which feature panoramic lakefront locations each with their own individual charm and custom commissioned appointments. No two homes in the guard-gated, exclusive community of Long Lake Estates are quite alike and each Long Lake Estates home for sale features its own list of luxury life style amenities including: resort inspired swimming pools, expansive indoor and outdoor entertaining areas, professional grade media room / home theaters, chefs’ gourmet kitchens replete with top-of-the-line appliances, handsomely appointed pub & club rooms, state-of-the-art smart house technology, and some include their own private tennis courts. The sporting lifestyle is abound for the residents of Long Lake Estates with close-at-hand exclusive South Florida golf communities and country clubs such as St. Andrew’s Country Club, Mizner Country Club and the world renowned Royal Palm Yacht and Country Club. Long Lake Estates central location in Boca Raton provides residents with a veritable cornucopia of shopping, dining, entertainment and recreational options. Palm Beach’s luxury brand boutiques of Worth Avenue, Ft. Lauderdale’s Las Olas yachting paradise and Miami’s world class nightlife and entertainment along South Beach are close at hand. Nearby cultural attractions include: the Morikami Museum and Japanese Gardens, the Boca Raton Museum of Art, Palm Beach’s Henry M. Flagler Museum and Norton Museum of Art, and the Kravis and Broward Center’s for the Performing Arts. If you find the sporting life to be more appealing, Long Lake Estates’ convenient locale to the International Polo Club of Palm Beach, Royal Palm Polo Sports Club in Boca Raton, and the Delray Beach Tennis Center play host to numerous championship and celebrity tournaments throughout the year, while the Dolphins, Marlins, Heat and Panthers home stadiums are all within an hours drive. Exquisite Gold Coast beaches and exclusive Mizner Park are close at hand. Long Lake Estates is conveniently located between Ft. Lauderdale and Palm Beach International Airports, and only a short drive to the Boca Raton Private Executive Airport. Boca Raton real estate is your gateway to a sporting life of unparalleled luxury. Whatever your preferences or the needs of your lifestyle, the communities of Boca Raton and Delray Beach are certain to have the property that’s right for you. If you’re planning to invest in Boca Raton real estate, you’ll require the superior services of a knowledgeable and seasoned Boca Raton Realtor familiar and experienced with the Boca Raton and Delray Beach real estate market. 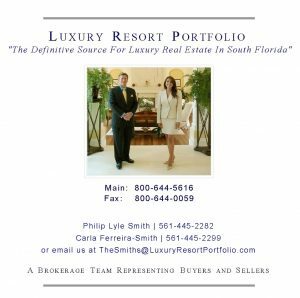 Contact The Smiths at 561.445.2282 or TheSmiths@LuxuryResortPortfolio.com. This entry was posted in Featured Community, Long Lake Estates on April 19, 2010 by Luxury Resort Portfolio. Classic Mediterranean traditions and modern appointments converge in this European-inspired The Oaks at Boca Raton estate surrounded by glistening lake waters and flourishing tropical greenery. An elegant ambiance is immediately introduced by a dramatic arched covered entry of coquina stone and a garden courtyard highlighted by a fountain. A lakeside outdoor entertainment area is centered on a luxurious heated pool and waterfall spa crowned by a wood and stone pergola, completed with a summer kitchen and loggia. Old World sophistication infused with dramatic detailing are the hallmark of this luxurious The Oaks at Boca Raton estate offering 4,882± square feet of Mediterranean styling, with five bedrooms, five full baths and two half baths. This designer-decorated and fully furnished villa is appointed with richly textured fabrics, window treatments and wall coverings, and bestowed with an astonishing array of upgrades throughout. The elegance of this home is revealed through the arched glass and iron double doors leading into the foyer, where polished Jerusalem stone floors are accented by walls with cast stone corbels and a ceiling where applied moldings frame bronzed medallions. 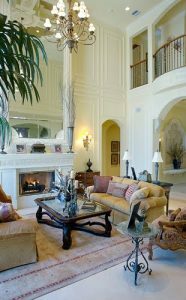 A step down into the two-story living room reveals beautiful lake and pool views from a wall of arched windows, with a caste stone mantle fireplace serving as the centerpiece of this sweeping space. The formal dining room is lavished with friezes, molding and a coffered crown ceiling, and leads into the expansive state-of-the-art kitchen. Designed with furniture-grade cabinetry, top-grade appliances, a tumbled stone hearth, granite counter tops and a built-in espresso machine, this center island kitchen is truly a gourmet chef’s dream, opening to a family room framed by a built-in entertainment center and floor-to-ceiling window walls. The library is richly appointed with built-in maple bookshelves and cabinets, offering a hidden entrance to the adjoining 8-seat home theater. Enjoying views of the pool and lake, the elegant master bedroom suite offers a private sanctuary, with a marble bath offering dual vanities, spa tub and a walk-in glass shower. A second bedroom with en-suite bath is found in a separate wing. Perched atop the winding staircase on the second level is an intimate loft showcasing custom designed built-in cushioned benches, shelves, desk, entertainment center and bead board wainscoting. Three additional bedroom suites offer walk-in closets and en-suite baths. 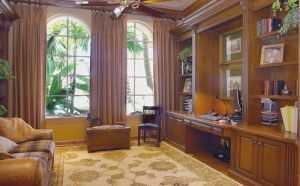 This entry was posted in Featured Property of the Week, The Oaks at Boca Raton on April 15, 2010 by Luxury Resort Portfolio. Addison Reserve Country Club located in historic Delray Beach evokes an atmosphere of intimate charm capturing the style of elegant Florida living. Designed as a homage to the visionary architect Addison Mizner of the early 1920’s, Addison Reserve is an elite country club community beautifully designed in tribute to Old Palm Beach and the revival of Mediterranean architecture. Neighboring some of the preeminent country club communities of Boca Raton real estate, Addison Reserve offers residents a 27-hole championship golf course designed by renowned golf course architect Arthur Hills. Redemption, Salvation and Trepidation are three nine hole courses that weave throughout the scenic tropical landscape of 653 acres, providing a challenging golf experience against a breathtaking backdrop. For the tennis devotee, Addison Reserve Country Club offers twelve Har-Tru courts and a state-of-the-art automated hitting practice court conveniently equipped with a ball machine and a built in ball retrieval system. Additional amenities include a driving range and practice facilities for pitching and putting, a Mediterranean-inspired swimming pool and spa, state-of-the-art Fitness facility. Addison Reserve Country Club features The Clubhouse, a 42,000 square foot clubhouse for providing residents with the superior south Florida lifestyle of abundant amenities and dining. In 2002 Addison Reserve Country Club became a member owned club made up of 19 picturesque Mediterranean-inspired villages totaling 717 luxurious single family estates. Nearly all the properties of Addison Reserve real estate were planned decisively to capture the grand views of the community’s sparkling lakes or splendid golf course vistas. Recognized as a Platinum Club of America, Addison Reserve is currently ranked #8 nationally for Residential Country Clubs. 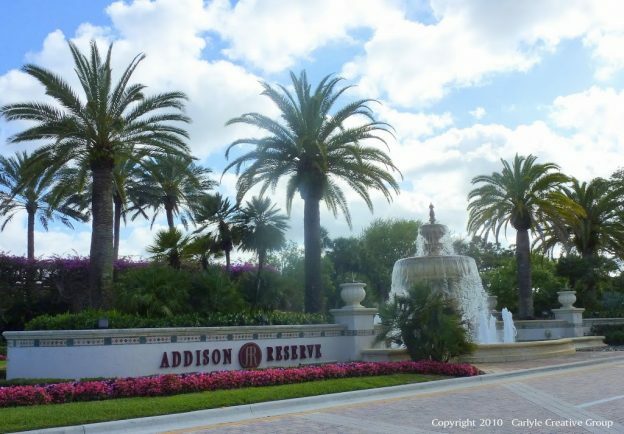 Addison Reserve’s south Florida central location in Palm Beach County provides residents with a veritable cornucopia of shopping, dining, entertaining and recreational options. Minutes away are beautiful beaches and picturesque Atlantic Avenue’s charming village shops and fine restaurants. The sporting lifestyle is abound for the residents of Addison Reserve Country Club with close-at-hand exclusive South Florida golf communities and country clubs such as St. Andrew’s Country Club, Mizner Country Club and the world renowned Royal Palm Yacht and Country Club. 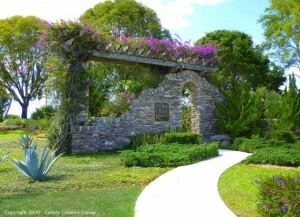 This entry was posted in Addison Reserve Country Club, Featured Community on April 13, 2010 by Luxury Resort Portfolio. Boca Raton country club real estate is your gateway to a sporting life of unparalleled luxury, world class services and the privilege of membership. If you’re planning to invest in a south Florida country club home, you’ll require the superior services of a knowledgeable and experienced Boca Raton country club Realtor for an introduction to elite golf course communities as: Mizner Country Club, Addison Reserve, St. Andrews Country Club, Woodfield Country Club, Boca West Country Club, Boca Grove Plantation, Bocaire Country Club, Broken Sound, Delaire Country Club, Old Palm Golf Club, PGA National Resort & Golf, Polo Club, Ritz Carlton Golf Club & Spa, and The Bears Club. 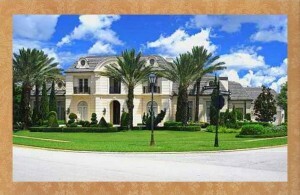 Contact TheSmiths@LuxuryResortPortfolio.com to assist you in finding the perfect south Florida estate at 561-445-2282. This entry was posted in Mizner Country Club on April 9, 2010 by Luxury Resort Portfolio. Stone Creek Ranch is one south Florida’s grandest and most exclusive estate enclaves providing residents with privacy and a taste of the privileged Palm Beach lifestyle. 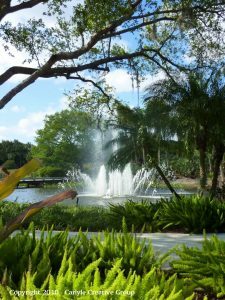 Developed by Kenco Communities the magnificent enclave in Delray Beach is nestled amid 187 acres of picturesque verdant vistas, striking lush landscaping and expansive shimmering lakes. Neighboring some of the preeminent gated communities of Boca Raton real estate the exclusive estate enclave of Stone Creek Ranch is a few minutes distance from the exclusive Boca Raton communities of Le Lac and The Oaks at Boca Raton. Stone Creek Ranch is the ideal setting for what will ultimately be 37 luxurious custom built estates. The fortuitous homeowners that reside here luxuriate in custom one-of-a-kind private compounds that are perfectly set on two and a half-acre or larger lake front home sites. Stone Creek’s renowned team of custom builders: Charlse · Watt Estate Homes, Courchene Development, Frankel-Infinity Custom Estates, Kenco Custom Homes and Terence Cudmore Builders – create masterpiece homes from over $3 million to more than $15 million. 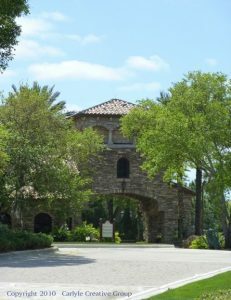 Upon arriving at Stone Creek Ranch, the stately private entryway leads to a gorgeous stone gatehouse. Proceeding through the trees-caped drive your guests are embraced by the community’s signature landmark, a dramatic, triple-arched stone bridge. Scenic walking and biking paths that are a mile and a half long surround the community providing spectacular water views. Currently there are two estate homes listed and on the market in Stone Creek Ranch with a number of lots still available to build the perfect family oasis in Delray Beach. Homes listed are ranging from $4,975,000 to $5,995,000. Stone Creek Ranch lies in the heart of Florida’s Gold Coast between Palm Beach and Boca Raton. Minutes away are beautiful beaches and picturesque Atlantic Avenue’s charming village shops and fine restaurants. The sporting lifestyle is abound for the residents of Stone Creek Ranch with close-at-hand exclusive South Florida golf communities and country clubs such as St. Andrew’s Country Club, Mizner Country Club and the world renowned Royal Palm Yacht and Country Club. This entry was posted in Featured Community, Stone Creek Ranch on April 7, 2010 by Luxury Resort Portfolio.